A few weekends ago I held one of my notorious subscribers-only meetups in Philadelphia, and a long-time reader mentioned that American Airlines was launching non-stop service from Philadelphia to Budapest. I more or less gave up on American years ago since their miles are so difficult to earn and their award availability is so terrible. But I was at least willing to entertain the possibility that a oneworld route to Europe that avoided London might be a good use of Avios, since it might mean avoiding Heathrow's high surcharges on premium cabin award redemptions. So, I decided to check it out. The British Airways search engine is having one of its periodic fits, making it extraordinarily annoying to find American SAAver award space. One trick that worked for me on some searches (but not others) was to click back and forth between dates in your search results, which after 2-20 clicks sometimes makes American award space magically appear. Fortunately, Iberia Plus is showing American award availability normally, and you can transfer British Airways Avios to Iberia Avios, and now you can even transfer Chase Ultimate Rewards points directly to Iberia Plus without using British Airways Avios as an intermediary. Nonstop Iberia Plus awards cost the same number of Avios as nonstop British Airways awards (adding connections creates complications, and opportunities), but the cash component of award tickets can differ for reasons I don't yet fully understand. On the flip side, Iberia requires you to book roundtrip itineraries, which neither American nor British Airways does. With that out of the way, we can compare the value of American miles and Iberia Avios for roundtrip flights between Philadelphia and Europe that avoid London. All these flights cost 60,000 American miles roundtrip in economy and 115,000 American miles in business, so what I want to get at is what additional cost you pay booking using Iberia Avios, a currency that for most folks is much easier to earn than AAdvantage miles. I searched for business class award availability between Philadelphia and every city in Europe served nonstop from there, avoiding American's close-in booking fee wherever possible, and plugged them into this spreadsheet. Where you see a mileage cost of 87,500 I was unable to find a single business class award seat in one direction and selected a mixed economy/business award instead. I was unable to make Iberia show Shannon itineraries at all. There are still several sweet spots when redeeming Avios for business class to Europe, even after accounting for carrier surcharges. If you have a healthy balance of Avios or Ultimate Rewards points, you should prefer to redeem those for business class flights to Spain and Portugal, since the amount you'll save in transferred Ultimate Rewards more than makes up for the increased carrier surcharges, even if you just redeem your Ultimate Rewards for the cash to pay the associated fees. Paris is a good deal in business, and an even better deal in economy, costing just 42,000 Avios and $390 roundtrip, although if you're flying in economy you'll usually just want to book a paid fare, which can be as low as $579 on this route. The flip side is that some routes cost so much more in both Avios and cash that you should save your AAdvantage miles to redeem for those flights. Basically everything East of the Rhine is better booked with AAdvantage miles or another zone-based currency instead of distance-based Avios. Of course, a $2,000 roundtrip business class ticket to Europe isn't exactly "expensive," but the point here is to use the right currency for the job, and when booking award tickets to Rome Avios are definitely the wrong currency for the job! I don't think you should hoard your American AAdvantage miles. Heaven knows I don't hoard them, which is why I only have about 15,000 in the bank. But you shouldn't hoard your Ultimate Rewards points either! So if you do manage to find low-level American award space that works for you, it's probably worth at least popping over to the British Airways (if it ever starts working) or Iberia (if you're booking a roundtrip) websites to see if your itinerary happens to fall into one of their distance-and-surcharge sweet spots. British Airways devaluation got you down? Book with Iberia instead! The 4,500-Avios, short-haul British Airways Executive Club award has long been one of the most valuable things about the program for North Americans. On flights within the United States you pay neither fuel surcharges nor close-in booking fees, and your Avios are refundable up to 24 hours before departure (you forfeit only the taxes and fees). Starting February 2, 2016, the same short-haul flights originating or ending in North America will cost 7,500 Avios per segment, although there's no indication the other two features will change. The good news is that as far as I can tell Iberia hasn't announced any changes yet. Award prices are based on total trip length, adjusted by cabin. and 33,000 Avios and $18.70 in First in both directions. and 51,000 Avios and $24.70 in First in both directions. The total number of Avios required very closely corresponds to the sum of the percentages of the total itinerary flown in each cabin multiplied by that cabin's roundtrip Avios award cost. After the February 2, 2016, British Airways devaluation, Blue Class nonstop flights booked with Iberia will be cheaper (11,000 Avios) than if booked with British Airways (15,000 Avios). Iberia's online booking system is very frustrating but very flexible — it's easy to book short legs in Blue Class and longer legs in First for potentially big savings, because of the "cabin adjustment" mentioned above. 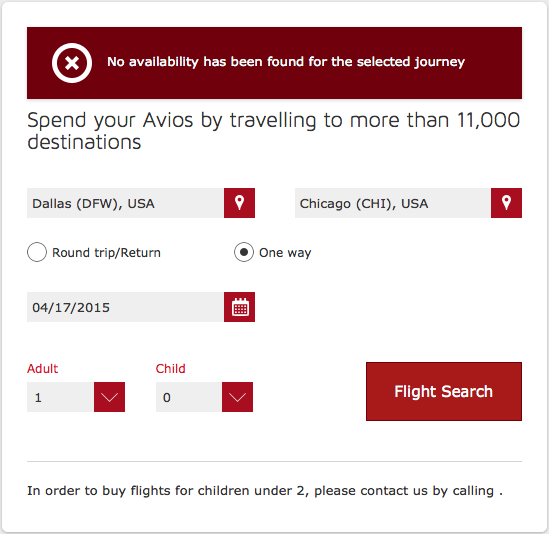 Using Iberia Avios instead of British Airways Avios for short-haul North American flights isn't a silver bullet to solve all of your award booking problems. But it is another tool you can use to let your miles take your further, faster. Before I get started today, it would be irresponsible of me not to state that your Avios are fine. You see, the last time I wrote about Iberia, the travel hacking blogosphere exploded with speculation about an upcoming British Airways Avios devaluation. While British Airways Avios have since been devalued, they weren't devalued in the specific, weird way that Iberia was pricing out oneworld partner awards. So promise you won't freak out. Once you've initialized your Iberia account, you can freely transfer Avios between a British Airways, Avios.com, and Iberia Plus Avios account. The obvious reason to do so is that on identical Iberia-operated flights, you'll be charged lower fuel surcharges using Avios in an Iberia Plus account than Avios in a British Airways account. Did you see my sleight of hand? I'll give you a hint: one of the fuel surcharges I cited had to be converted to US dollars. One of them was converted for me. I understand, you're not impressed with my saving you $16.30 in surcharges. Now watch this. At this point you might start to admit that this currency conversion business is at least worth being aware of. Now watch this. I've been showing you economy cabin redemptions so far. But British Airways also operates premium cabins! I would never suggest earning, let alone buying, rewards currencies speculatively: if your account balances are high enough, you'll be better off simply transferring your Membership Rewards or Ultimate Rewards points to Avios and booking traditional award tickets. On the other hand, if you're diligently keeping your flexible balances as low as possible, and especially if you're planning trips involving high-value Hyatt redemptions (or if you have a Southwest companion pass), you may well find that buying up the Avios you need to complete a redemption makes sense compared to transferring the points in from Chase Ultimate Rewards. If you happen to find yourself in that situation, do yourself a favor and see if an Iberia Avios redemption will save you a couple hundred dollars. Iberia and British Airways, two of the airlines that use Avios as their rewards currency, have long had a number of differences in their award charts. British Airways charged each award segment separately, while Iberia averaged the cost of each first class, business, and economy leg over the length of the entire trip (see an illustration here). After what seemed like hours of fiddling around with my Iberia Plus account, it finally occurred to me that I didn't have any Avios in the account. What if, like some other overseas loyalty programs, Iberia required a positive account balance to search for award space? I've been planning to explore potentially valuable Iberia Plus awards for a few weeks, but have been stymied by this problem. So now you know: oneworld award space will only appear on Iberia Plus searches if you have a positive Iberia Plus Avios balance. These redemptions — even post-devaluation — are great values in business class compared to cash (between 2.45 and 9.8 cents per Avios) and decent values compared to other airline miles. If nothing else, you should be aware of them because it's an additional option if you can't find award availability on your first-, second-, or third-choice airlines. Judging by the comments to that post, you might think travel hackers are indifferent to this problem, on the grounds that it's better to build a trip around award availability on airlines you actually want to fly. But for people with more restricted schedules (not me, but my understanding is this applies to most people in the working world), being aware of as many options as possible maximizes the chances of scoring a cheap award flight instead of being stuck paying retail to sit in economy. A whole different problem, however, is the very real issue that you may not want to go to Ireland, Germany, or Spain! A good first stop when thinking about Avios redemptions is the Wandering Aramean's Avios Map. Type in an airport code and you'll see all the possible non-stop Avios redemptions. Be sure to cross-check those flights with Google Flights or another flight search site, however; Seth's data are often out of date or inaccurate. The Avios Map tool has two drawbacks: it doesn't show the taxes and fees for the route, and it only goes up to the 12,500 Avios distance band (so flights between New York and Germany don't appear, even though they're terrific values on airberlin). Still, if you're piecing together a multi-stop itinerary, you're likely sticking to shorter routes anyway, since Avios prices increase so rapidly with each additional leg and distance band. After finding the routes you're interested in, plug them into British Airways' Avios calculator (and Iberia's if your flight is operated by Iberia) and look for the taxes and fees you'll incur. Don't forget to check the return as well; departure taxes vary wildly between airports. This is basically brute force work, but if you're rich in Avios (or cheap Ultimate Rewards points), it's also a great way to travel around the world for next to nothing. Berlin-Abu Dhabi. 12,500 Avios in economy, 25,000 Avios in business (will be 37,500). $48.24 in taxes and fees outbound, $21.78 in taxes and fees return. From Abu Dhabi, continue on Etihad virtually anywhere in the world. Dublin-Prague/Vienna. 7,500 Avios in economy, 15,000 (unchanged) Avios for intra-Europe business class. $51.90 in taxes and fees outbound from either, $68.25 return from Vienna, $53.86 return from Prague. 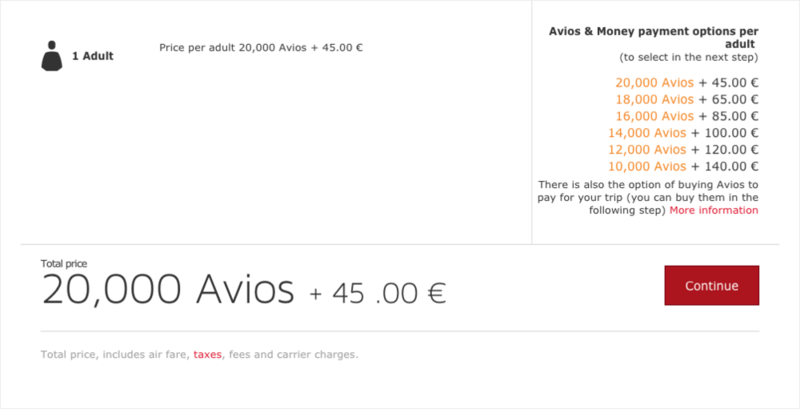 I'm not going to get into an argument about whether 7,500 Avios are worth more or less than $45.59 (more), I'll just point out that this Iberia flight, unlike ones departing New York and Boston to Madrid, incurs more taxes and fees using Iberia Avios than British Airways Avios. When the Iberia devaluation takes place on April 1, and the British Airways devaluation on April 28, 2015, it'll become even more important to check, every single time, which currency makes your awards cheaper overall. Obviously these flights are only a small sample of those operated out of Berlin, Dublin, and Madrid by British Airways partners, but I hope they illustrate the possibilities of plugging together Avios flights as a way to navigate to, from, and around Europe. If you spot any other long-distance, low-fee gems, feel free to share them in the comments! "Did Iberia go revenue-based while I wasn't watching? Short domestic flights are pricing out astronomically"
Here's what I was referring to. While planning an award trip using some of the 100,000 British Airways Avios I earned during that short-lived signup bonus back in January, I wondered whether I might see different availability or cheaper taxes and fees if I transferred my British Airways Avios (through Avios.com) to Iberia. This is an example of an itinerary that, since British Airways prices segments out individually, is a pretty good deal despite their policy of charging three times the price of coach for US domestic first class. It's two 13,500 Avios legs paired with two 4,500 Avios legs, for a total cost of 36,000 Avios, while the same itinerary would cost 50,000 AAdvantage miles or 65,000 Alaska Airlines Mileage Plan miles. That's...weird. The same itinerary is pricing out cheaper using Iberia Avios than British Airways Avios (although the additional taxes and fees make British Airways the better deal overall). But even weirder is that there's no reason, based on the award charts we all thought Iberia was using, for that odd number of Avios to be required at all. Since Iberia only allows round-trip award reservations, I thought I'd see whether I got a similar result with a single-cabin reservation. Instead, it got weirder. Just as we saw above, this roundtrip flight in first class prices out at 27,000 British Airways Avios. You read that right. The itinerary costs over twice as many miles using Iberia Avios (which, as a reminder, are freely transferrable to British Airways Avios). As you'd expect, the short round-trip itinerary prices out at 4,500 Avios each way. 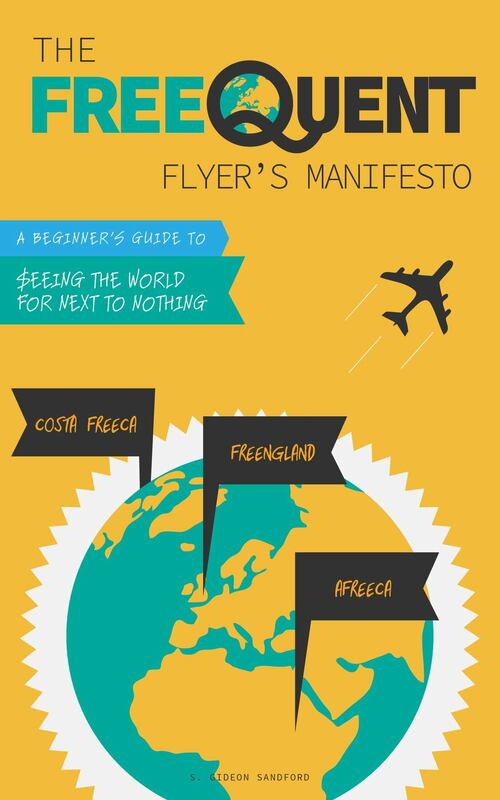 In this case, the economy itinerary costs almost three times as much using Iberia Avios! As my Twitter follower @KennyBSAT was the first to point out, Iberia has quietly introduced what most bloggers this evening are calling a devaluation (see here, here, here, and here). They've already implemented a new award chart for partner award bookings, including American Airlines award bookings like the one I was booking today. The new award chart will require close study, and as Gary points out, "long haul flying can be cheaper than using BA Avios." The most interesting point my example above illustrates is that they appear to use a formula to weight mixed-cabin redemptions, such that adding short-haul economy legs radically reduces the total cost in Iberia Avios, sometimes below the cost in British Airways Avios. Since Iberia requires round-trip redemptions, it isn't obvious how to use this loophole to add a "third strike" to a reservation in order to drag down redemption costs. However, adding a short-haul economy flight to a long-haul business or first class flight may, as in my example, drastically reduce the number of Iberia Avios required for your award redemption. Trust me: you'll be seeing a lot more analysis along these lines on all the most popular travel hacking blogs in the coming days and weeks. Potential arbitrage opportunities like these are the bread and butter of travel hackers, and I suspect a lot of discussions will be taking place on Twitter, as well as in the comments to this blog and others. Be sure to follow me @FreequentFlyr and check out my list of some of the best travel hacking feeds to make sure you're in the loop for this ongoing and guaranteed-to-be-lively discussion. Last month I mentioned that I was trying to figure out how to "initialize" my Iberia account. Now that I've succeeded, I can share my experience. For most hotels and airlines we use in the United States, a loyalty currency is almost indistinguishable from a loyalty program. It doesn't occur to anyone that there's a difference between the Delta Skymiles loyalty program and an individual Delta Skymile. Avios work slightly differently: Avios are the rewards currency of three different loyalty programs: British Airways Executive Club, Iberia Plus, and the Avios travel rewards program. So just like you can use Euros issued in France to buy bratwurst in Vienna, you can use your Avios for rewards through any of the three programs. However, as the people of Greece recently discovered to their chagrin, just because countries use the same currency doesn't mean they can't impose border controls. That's exactly what Iberia has done, and smuggling Avios past those controls is the subject of this post. While British Airways and Iberia charge the same number of Avios for flight redemptions through either program, Iberia charges much lower fuel surcharges for award redemptions on their own flights than those booked using Avios in British Airways Executive Club club accounts. In a perfect world, that's all you'd need to know. By choosing "Combine my Avios" (find it under "Manage my account") on British Airways' website, you'd be able to save yourself hundreds of dollars on your Iberia award flights by booking using Iberia Plus instead. Unfortunately, the world we live in isn't perfect yet, and you're not allowed to transfer Avios into your Iberia account until it's been open for 90 days and has at least one other (non-"Combine my Avios") transaction. Melia Rewards transfer. Another reader reported being able to transfer the 2,000 point signup bonus with the MeliaRewards program to Iberia. I wasn't ultimately able to do this — as the reader pointed out, the 2,000 bonus points aren't supposed to be eligible for transfer. However, if you do ever stay with a Melia-affiliated property, or earn Melia points through some other activity, you will be able to transfer the points you earn to Iberia Plus. Iberia has great award availability and relatively low fuel surcharges on their own flights; that can be a powerful combination when trying to decide how to fly to or from Europe using Avios, while Avios can be one of the easiest loyalty currencies to earn since British Airways Executive Club is a transfer partner of Chase's Ultimate Rewards points.